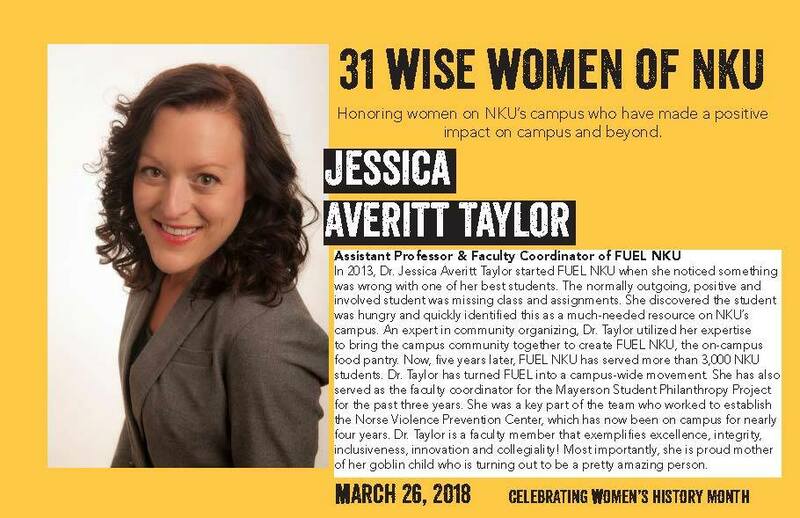 UA social work alumna Jessica Averitt Taylor, assistant professor of social work in the College of Education and Human Services’ Department of Counseling, Social Work and Leadership at Northern Kentucky University, was honored as one of 31 Wise Women of Northern Kentucky University in March. The honor recognizes women on NKU’s campus who have made a positive impact on campus and beyond. Dr. Averitt Taylor was honored for founding FUEL NKU, a food pantry on the university’s campus, in 2013. She established the food pantry after noticing “something was wrong with one of her best students.” The student was missing classes and assignments because of hunger. Five years later, FUEL NKU serves more than 3,000 NKU students and is a campus-wide movement. She now serves a faculty coordinator FUEL NKU. 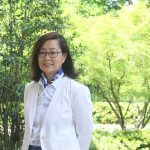 She also has served the NKU campus in other roles, including faculty coordinator of the Mayerson Student Philanthropy Project and as a key team member who worked to establish the university’s Norse Violence Prevention Center. In honoring Dr. Averitt Taylor, NKU noted that she is a “faculty member who exemplifies excellence, integrity, inclusiveness, innovation and collegiality. 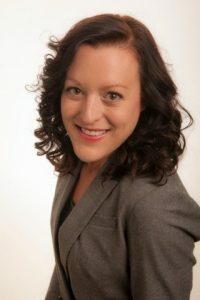 Dr. Averitt Taylor received her MSW and PhD from The University of Alabama School of Social Work.